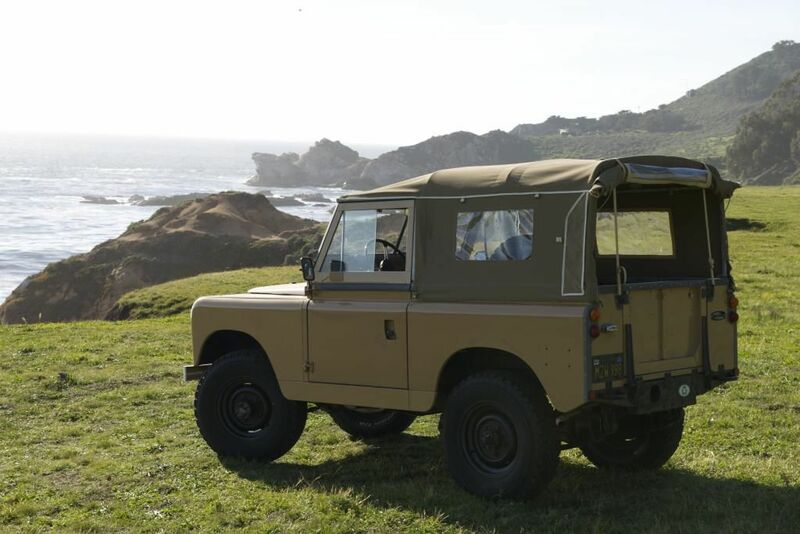 I’m in Canada and have been thinking of purchasing a 200tdi engine for my 1959 series 2 Land Rover. Does anyone have any idea what to pay or have a reliable source for a good engine. I found a few on eBay.co.uk but at almost 1500£ Plus exchange and shipping it would be to expensive for me . That seems quite expensive. Anything from 150 ukp. upwards will get you something. But you'd have to ask yourself what it is you want ? Buy warranted quality and enjoy. Also, is the gearbox is your Series in good condition ? I paid £500 2 yrs ago, and paid £275 about 10 yrs ago and seen them go for about £750 up to a few months ago. Thank you for the replies.i have a few Land Rover projects but this would be for my 1964 swb. It currently has a 2.25l petrol/gasoline engine with original 7:1 compression head so quite a low hp set up. I hope to use this truck Quite a bit but there’s lots of mountain passes with quite far distances on the roads I travel so need a truck that can travel at 55mph pretty easily otherwise I’m a road hazard. The 2.25l with 7:1 compression has me conserned since I’m quite sure it was not designed for that. if I could find a 200tdi that could last a bit until a rebuild for 500£ that would be great. Keep looking they are out there. I'd also consider fitting a locally available engine, if you are going to be using it a lot. I'm very happy with my tdi200, but, being based in the UK I know I can get parts in 24 hours. If I was in, say, Australia, I'd be thinking of a Holden engine, again, parts availability. South Africa, maybe BMW? But if you ARE committed to the tdi200 - and I understand that this does make sense on a number of levels - I'd really think about getting one that's been reconditioned. Expensive, I know, but you've got a lot of reliability built in, and the hassle of buying unseen, you could end up buying 3 before you get a good one, remember it's over 2 decades since the engine was first produced, there aren't many that haven't done starship miles. I hope to use this truck Quite a bit but there’s lots of mountain passes with quite far distances on the roads I travel so need a truck that can travel at 55mph pretty easily otherwise I’m a road hazard. I am running that exact combination - 200Tdi, SIII gear box and transfer box and Roverdrive with 4.71:1 standard diffs. It works well for what you have in mind. It's a little under geared for long flat stretches, but fitting 3.54s is too tall and buggers driving around town or on hills. I think you'll be pleased with how it drives, but you will need to consider noise levels - they're much higher than with the petrol engine or even the earlier indirect injection diesels. You'll definitely need some sound deadening. Heavy old carpet will work well on the cheap, but the Wright Off Road kit is great if you have the budget. I don't know if anyone imports it to the Vancouver area, but it's worth looking at. You didn't mention whether you have an 88 or 109. On right hand drive models, the more commonly available Discovery engine will fit with minor alterations to the turbo's compressor orientation. It won't fit a 109 as the chassis leg profile is much deeper. I'm not sure about whether the Discovery engine fits the LHD 88 because of the steering box position; I think there is some mention of it on Terri-Ann Wakeman's website. I think the 300 fits LHD more easily, like it does the 109, without so much messing about with plumbing. The 300 is probably going to be more common, too, and is the same on all LRs, so you won't have to be specific in sourcing one from a Defender. If you can find a scrapped vehicle to act as a donor for all the related parts, that'll be easier and more cost effective - in addition to the engine, you'll need the rad, intercooler, coolant bottle, exhaust down pipe, mountings, plumbing, fuel filter housing, glow plug timer relay and as much of the wiring as you can get. If you can find a manual transmission donor, you can also use its clutch slave cylinder to attach to the SIII bell housing. I honestly think the 200tdi is old hat now, the 300 is a nicer engine once fitted and spares are plentiful - new AMC head £295.... 200tdi head anyone? Thank you for all the replies. This is great advice and it got me thinking about other options. I think I have decided to install a mercedes OM617 5 cylinder turbo diesel engine mated to a more modern 5 speed transmission connected to the series transfer box. Theres a great selection of adapters available today and not very expensive. This will save me a big expense VS a 200tdi or 300tdi shipped from the UK as I can pick up all large parts locally. The mercedes diesel is old technology but extremely durable and reliable. Plus they can be found inexpensively when needed. I will likely snap up a few spare engines when deals pop up to have my own supply of spare parts. This is what I hope the finished project will look like, possibly pastel green with a 3.0L turbo diesel and 5 speed transmission so no need for expensive overdrive . That would certainly be different but very nice! I would just have to stock some spare parts . Thanks for the reply’s and if you know of a nice 200tdi for a fair price please let me know. Another vote here for something locally sourced, 200TDi's are common over here like J**p parts are common in the US so it skews the equation with cheap & easy parts. Tuning the 2.25 up is another option, ACR and Turners do performance bits for them, not always cheap but saves major modifications and helps preserve originality / spares compatibility. Thanks for the reply. I’m still trying to think of a good alternative. Lots to think about . A 200tdi is just such a nice easy engine conversion. Dependin on your mileage, fitting a good 200 Tdi will give you many miles. We have one in the SWB Hybrid and it is very, very nice. Noisy, of course, but very good. Well, not if you're not surrounded by cheap plentiful 200TDi's it's not, any more than an LSx swap is a cheap easy conversion over here. A 2.5 N/A (diesel or petrol) if you can find one would give the performance you need (highway speeds, a little more power overall) and require almost zero effort. Almost anything that will fit in the hole and make ~100hp will be more than adequate.